IBC LEADERSHIP TRAINING DAY – Each year the Southeast Inter Branch Council hosts a full day of training for our newest board members and also any branch member who might like to learn a little more about AAUW. It is held during the summer, on a weekend day, and includes lunch. There are usually two areas of concentration with speakers of expertise. It’s a good branch support tool and enjoyable too. 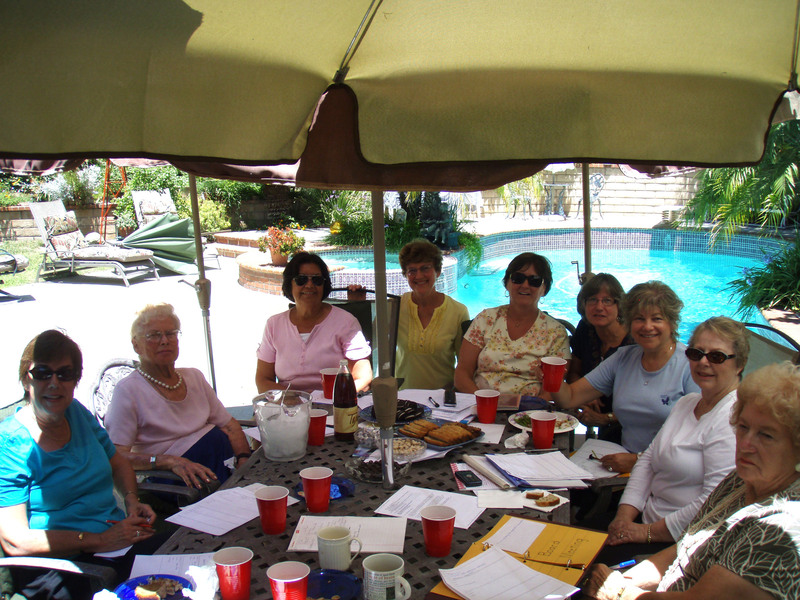 SUMMER PLANNING DAY – On a summer weekend day, the board and any members who’d like to come, meet in the back yard of one of our members The entire next fiscal year is discussed and planned. It is a flexible document but gives a guide line for the year. It is usually a pot luck as our members enjoy eating. MEMBERSHIP EVENTS – We have had various types of membership events during past years. We’ve had membership teas, luncheons, and recently wine tasting events. We invite our friends and “members at large” (members of National but not of the state or a branch) that might enjoy the friendships and activities that our branch enjoys. SPEAKERS AT MEETINGS DURING THE YEAR – We try to plan speakers for our branch members each year for about two meetings; sometimes more. We like to attend a presentation of the League of Women Voters during an election year. This year we have a speaker who will be speaking about Human Trafficking and we have invited the public to attend. Our local Los Angeles Public Library is hosting and co-sponsoring this event. 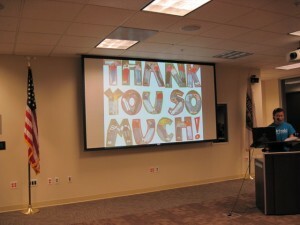 We also sometimes attend a presentation at an Osher Life Long Learning (OLLI) event at Cal State Fullerton, some of which are open to the public. 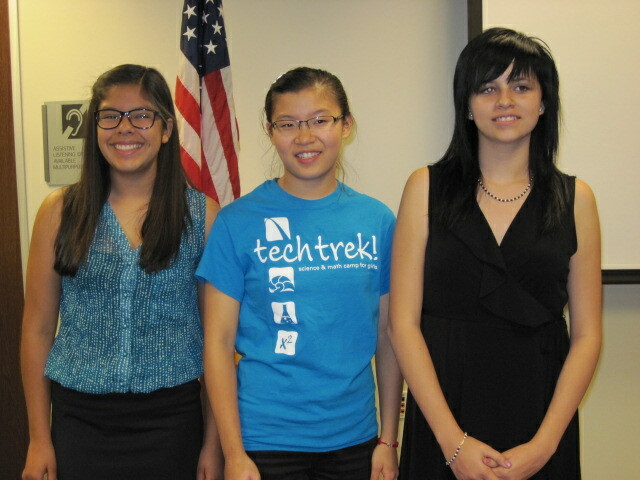 Of course, the highlight of each year is when our Tech Trek Campers attend our branch meeting in September to tell us about their experiences at the Irvine Camp. 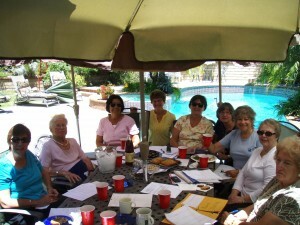 SPECIAL MEETINGS DURING THE YEAR – Sometimes we plan a branch meeting that is a craft-night where members share some crafting ideas and participate in one or two. This year we will have a meeting in which our members can display some of their own works. We will have quilting, needlework, knitting, and art on display. Our December meeting is always a Holiday Party at a member’s home. We bring a $10.00 gift for an exchange in which we have a great time, exchanging with each other up to three times per gift. Fun and food abound. WOMEN’S HISTORY MONTH – In March, Women’s History Month, we like to celebrate in some manner during this month. It can be a get-together for a tea, lunch or if we’re lucky we can call upon a speaker who will dramatize a famous woman. We have a member who will be portraying Eleanor Roosevelt this next March at our branch meeting. We will be inviting some of the other Women’s organizations in the area to attend. YEARLY AAUW-NATIONAL CONVENTION – Join us as we explore Leading across Generations. AAUW’s National conventions offer engaging speakers and panels, skill-building sessions, networking opportunities, and much more. BI-ANNUAL CONVENTION – AAUW CA – The next AAUW State Convention will be in 2018. It is alternated every two years between Northern and Southern California. The location will be in Southern California, in 2018. The activities always include many prominent speakers, leadership workshops, luncheons and dinners. We hope to be able to send representatives to some of these events if not all. We are able to attend, one day, one luncheon, or all events, which affords us an opportunity to choose what events are of interest to us individually. ICE CREAM SOCIAL – Usually in May our branch meeting is held in the home of one of our members, for a yearly review and critique of the activities of the previous year. We discuss what we might like to achieve in the next fiscal year. We try to get a good branch turnout in order to get some ideas from the members for future events. 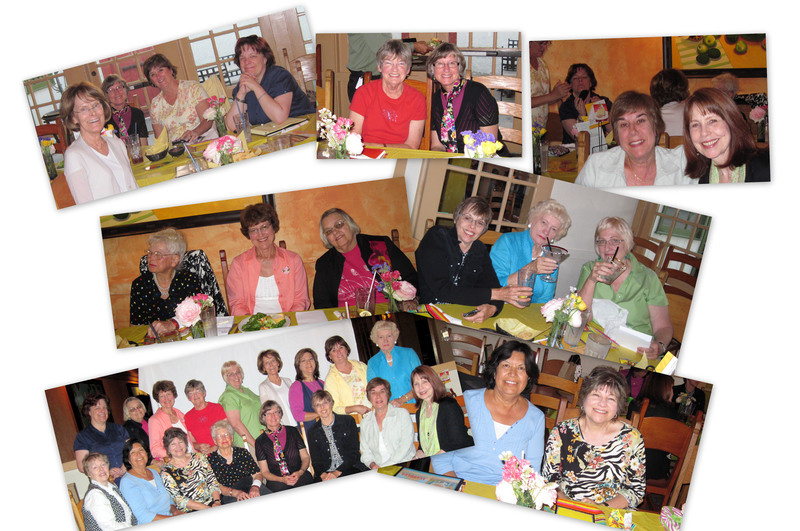 YEAR END DINNER – Each June, the entire Branch meets for a dinner at a local restaurant. In addition to being a social event, we express our thanks to old and new board members at this time.